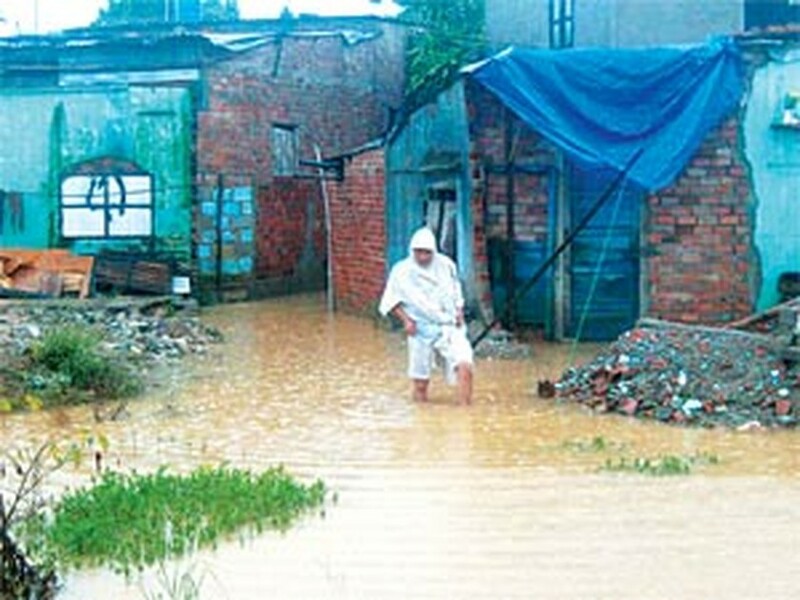 Torrential rain from the fifth typhoon to strike Viet Nam this year has caused severe flooding along the central coast but no deaths have been reported. 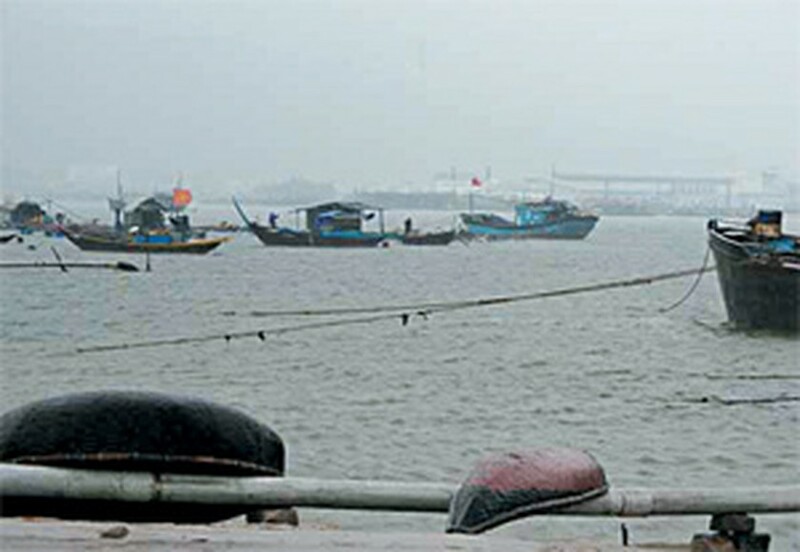 On Sunday night, many areas of Quang Tri province were submerged and the waters showed no signs of abating. Villagers in flood-prone regions stayed awake all night, keeping a wary watch for possible flooding. Most of the roads in the flooded areas had been half a meter under water at noon on Sunday. With the water rising even more, hundreds of canals and dams have since overflowed, more than 100 kilometers of dykes has been destroyed, and nearly 2,600 hectares of crops ruined. In nearby Hue, last night’s rising floodwaters intruded upon thousands of families living by the Huong River, and some of the city’s main roads were nearly a meter deep in water. More than 300 families were immediately evacuated to safety, but 40 families have yet to flee from areas prone to mud slides, the local authorities said yesterday. The situation was repeated in Da Nang. Rain and more rain combined with the low-lying terrain meant serious flooding and isolation for thousands of the city’s residents. In the rough seas off the coast there were over 100 fishing boats carrying nearly 1,500 people. The region’s streams and rivers were rising so fast that 40 security guards at the Khe Duong gold mine were trapped late yesterday and had to stick fast to a hillside and wait until morning before rescuers could get them out. 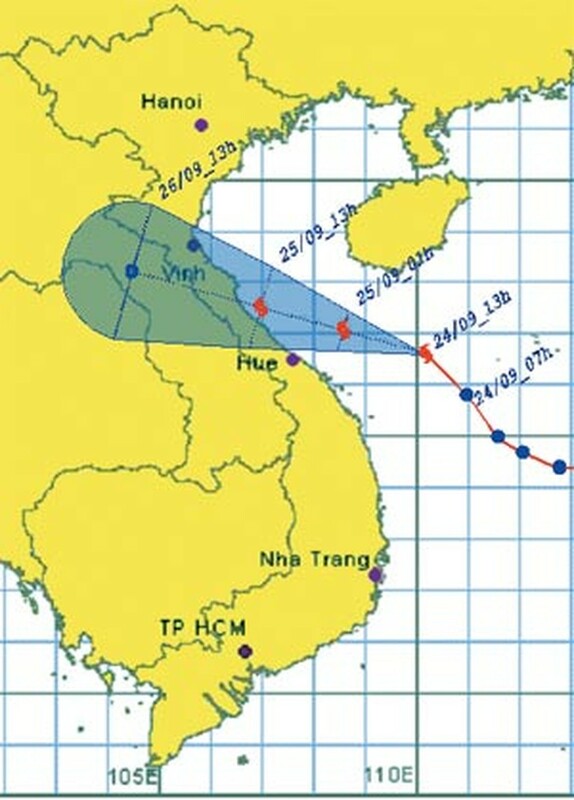 In Quang Nam, the flooding has destroyed hundreds of hectares of crops ripe for harvest, and 30 families have been told to move out of an area notorious for falling rocks as soon as possible. Out of all the fishing boats operating from Quang Nam, the province’s rescue team had only established radio contact with 50 by this morning.